Can you believe it’s already May and we are almost in the middle of year 2012? Sometimes I can’t. I can’t believe that next month I’d be turning 46. FORTY SIX! Let’s change the subject, shall we? This month of May is packed with many wonderful events on Maui. It is such as merry month, starting with Lei Day on the first of May. Many schools are celebrating by having a Hoolaulea. I still remember when my kids were at Kamalii School, I always loved going to their Hoolaulea. I was planning to do a round up of events on this post that is why I titled it “The Merry Month of May”. However, as I was writing the draft, it seems so boring I decided to change it. Instead of a round up, I will just post about each of them as it comes near (time permitting). I think posting about the events one at a time is better than me doing the round up. Round ups can get overwhelming. For those of you who like to plan ahead, I will also post about the events ahead of time on A Maui Blog Facebook Page. OK, this post is just a quickie but I already have other posts in line for the week. Planning to upload a post at least 3 times a week for the month of May – does that sound good to you? 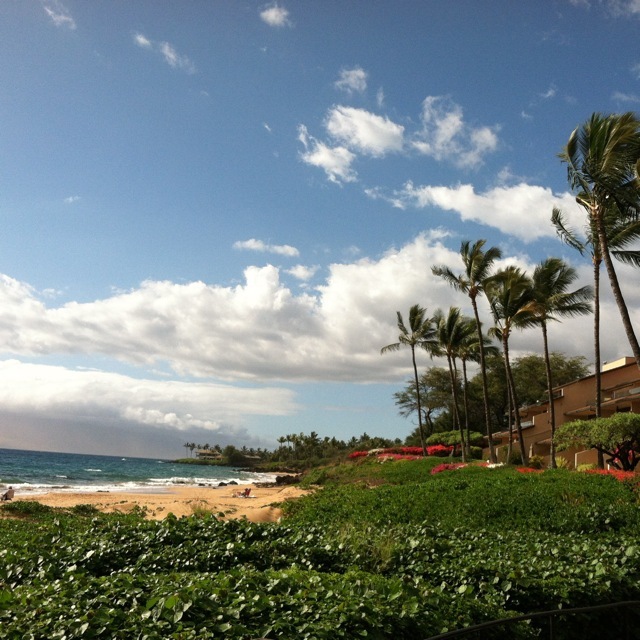 Photo: taken by me yesterday at Changs Beach in Makena. Thanks for sharing the photo of Chang’s Beach. I’ve visited this beach many times and your photo brought back wonderful memories. Hopefully I’ll be visiting again very soon. NO WAY you’re turning 46! You soooo don’t look like it. Lookin’ good mama! Liza, you are a GORGEOUS 45…wow…I hope to follow in your foot steps with the aging process. Beautiful photo too!